The First Year Experience programme officially begins its peer-buddy programme to assist first year students cope with university life. 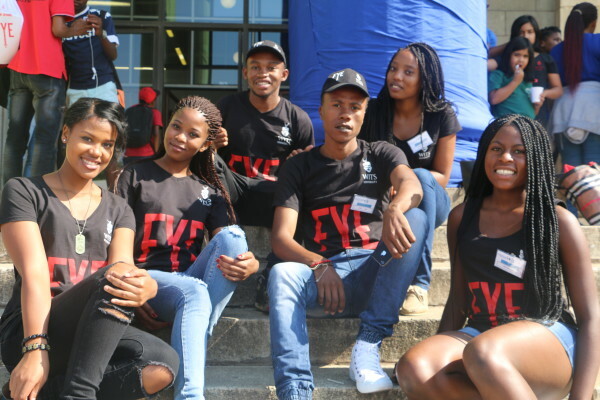 THE First Year Experience (FYE) programme has officially launched its peer-buddy programme to assist first year students cope with the transition from high school into the university environment. The peer buddy programme aims to link FYE ambassadors with groups of first year students in the same faculty to provide mentorship and guidance in academics and social skills. FYE projects manager and coordinator, Ashina Sarawan, told Wits Vuvuzela that the peer-buddy programme does not take the place of tutorials, but covers the academic aspect alongside the social aspect, she said. Sarawan said that the FYE programme had been progressing positively, as 140 student ambassadors are now part of the programme. Final year BSc civil engineering student, Tshepang Marubyane said that FYE is not only about using the opportunity to help others, but is an opportunity for self-growth and personal development as well. Marubyane said hehad noticed improvements in the students he has mentored. “We have had the programme producing leaders – individuals don’t just academically excel, they become leaders in their own respect, in their own discipline and in their own personal lives. You see that this person is a force to be reckoned with,” said Marubyane. Thabang Thibedi, 19, is a third year BA general student who used the support of the programme in his first year and later became an ambassador. He said that the ambassadors encouraged him to attend various programmes and advised him when he faced an obstacle, ensuring him a comfortable university experience. “FYE has helped me groom myself into the person I want to be. They correct me when I’m wrong and push me towards the right direction,” said Thibedi. The FYE peer buddy programme is available to students throughout the year. Students can visit the FYE office on the ground floor at Solomon Mahlangu House, where they will be allocated an experienced ambassador for assistance. Peer Buddies: Wits FYE ambassadors ready to mentor first year students .